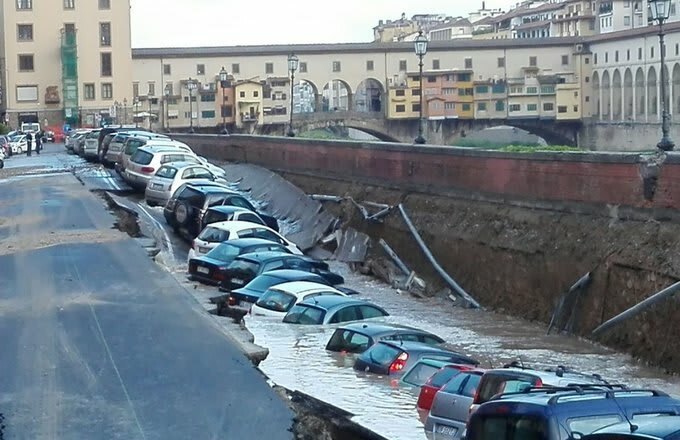 Much of Florence, Italy has been underwater for ages (hence the fun gondolas that tourists ride around in), but earlier today, the water in Florence became a bit more dangerous when the Arno River embankment collapsed, dragging at least 20 cars into a ditch that was freshly made by the embankments sinking. The pictures are wild. BBC News reports that the hole created by the collapse is approximately 650 feet long and 23 feet wide, which was absolutely large enough to swallow up some cars. Firefighters told BBC that the embankment is thought to have collapsed due to the failure of a large water pipe beneath the surface of the embankment. The embankment gave way very near the historic Ponte Vecchio bridge, a site that is a favorite among tourists. 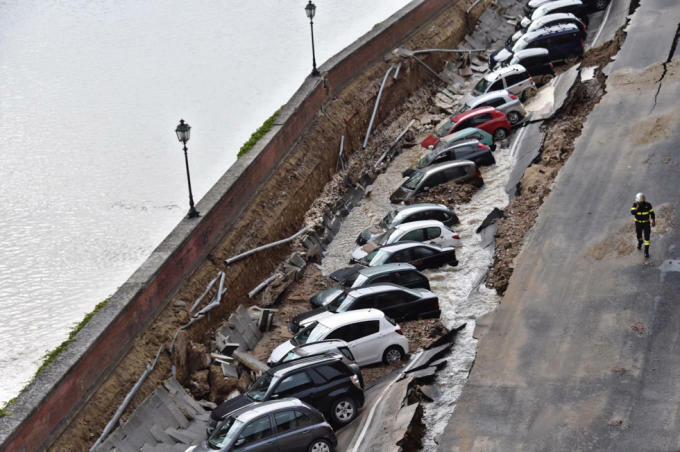 Mayor of Florence, Dario Nardella, sent out a tweet stating that nobody had been harmed when the embankment collapsed, and that firefighters were on the scene with municipal technicians. Questa notte grave smottamento di lungarno Torrigiani. Nessun danno a persone. Siamo sul posto con Municipale vigili del fuoco e tecnici. 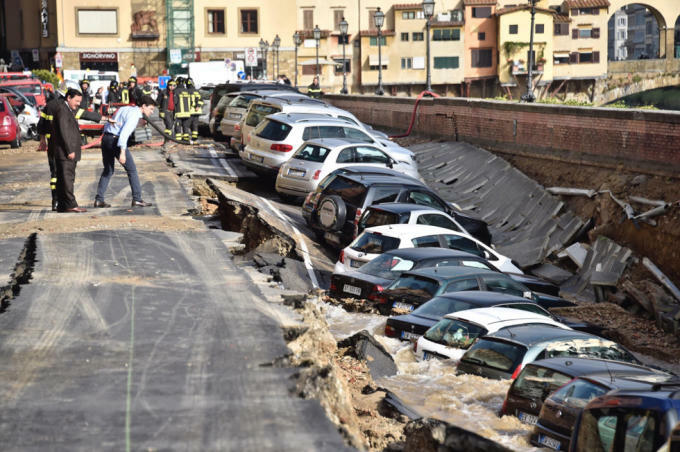 While there was no physical harm done to any people, the mayor further told Italy&apos;s ANSA news that there had been "huge damage" to the site (as is more than apparent from these photos), adding that the collapse occurred at 6:14 AM local time, but police were initially called to the river around midnight when a broken aqueduct was reported. According to BBC, the water supply to the city&apos;s center has been shut off as a result of the collapse, which has caused at least one museum in the area to close down for the day.